Dextrose Monohydrate is an odorless and colorless sugar. It is also referred by many as D-glucose. It is widely used in food industry for production of creams, baked goods, alcoholic beverages, canned foods, energy drinks, frozen dairy products etc. Dextrose Monohydrate is processed from the best quality corns. 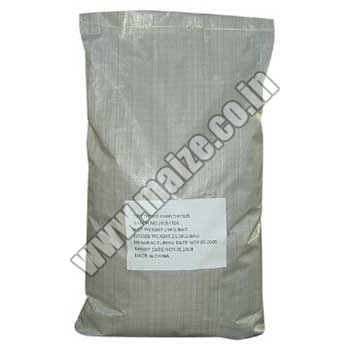 Our Corn Dextrose Monohydrate is a starchy solution rich in carbohydrate and is treated in number of food stuffs. They are manufactured in totally hygienic conditions. Apart from that we are one of the leading Dextrose Monohydrate suppliers in the market. We are a trusted Corn Dextrose Monohydrate Supplier. The Dextrose Monohydrate provided by us is known for its superior quality. We promise the best quality to customers and supply the best. We have so far never received any bad feedback from the customers. Customers can always strike worthwhile deals with us. Apart from superior quality, our pricing is also highly competitive. We prize our warehousing facilities and testing units. We can even meet the urgent requirements of the customers for best quality Dextrose Monohydrate speedily. We ensure no decay in quality during the transportation too! We feel complacent that we have many customers who rely on us for their frequent requirements for Dextrose Monohydrate.